Right after harvest, all our flowers are moved to coolers immediately to be chilled. 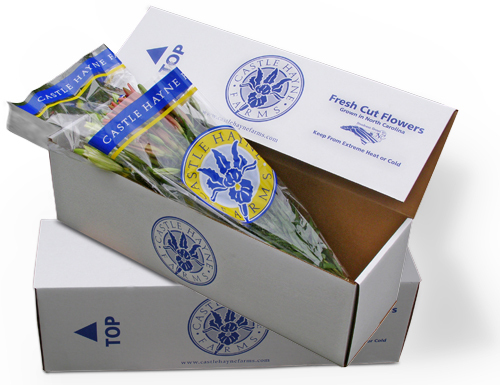 All flowers are generally processed and shipped the same day to ensure freshness. All bouquets, bunches and boxes can be bar-coded according the customers specifications. VIA REFRIGERATED FREIGHT CARRIER Every Friday evening our flowers are shipped via refrigerated truck to New York, New Jersey and New England for delivery on the weekend. Every Sunday afternoon our refrigerated truck leaves NC and delivers to all customers along I-95 in VA, MD, DC and PA.
Every Thursday evening a truck heads for Miami to catch the FRI/SAT and Sun outbounds with Armellini, Prime, DTL, Coggins and others. 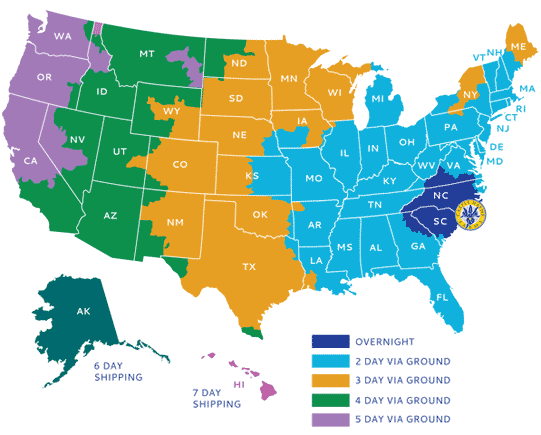 VIA FEDEX or UPS We can ship via FEDEX or UPS over-night to any place in the country.